With 2018's Nobel Prize for Literature on hold until next year, an alternative prize has been developed by a group of Swedish journalists, writers, and cultural figures. The group has formed what they call the "New Academy" in protest of the scandal-riddled Swedish Academy that administers the Nobel Prize. The members of the New Academy wrote that "We want to show people that serious cultural work does not have to occur in a context of coercive language, irregularities or abuse. The New Academy, whose members are extremely driven and knowledgeable individuals, will work according to the time plan of the traditional Swedish Academy." The group is soliciting nominations for its prize from Swedish librarians. Writers worldwide are eligible to enter, provided they have written at least two books, one of which must have been published in the last ten years. A selection of books by nominated authors appears below, and a public vote was held to determine the shortlist. 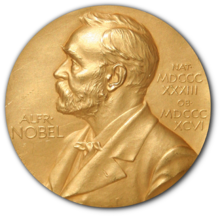 The winner will be announced in October, on the same timeline as the traditional Nobel Prize for Literature, and the award presented December 10. The New Academy will then be dissolved on December 11.